Anytime Mama Reyna comes in, I know it’s going to be a good weekend. 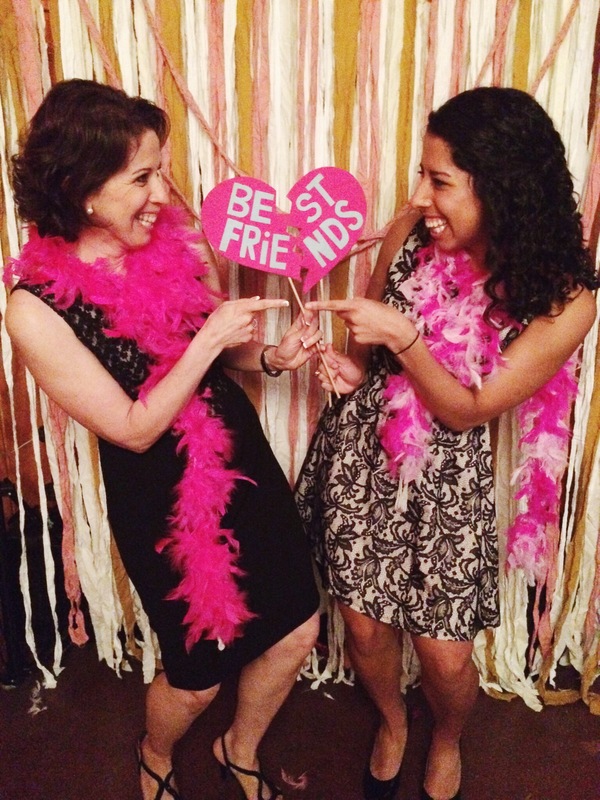 When she called a few weeks ago asking if I’d be her date for a wedding not far from Austin, there was no way I could refuse! Mom arrived Saturday around noon, it was perfect outside. 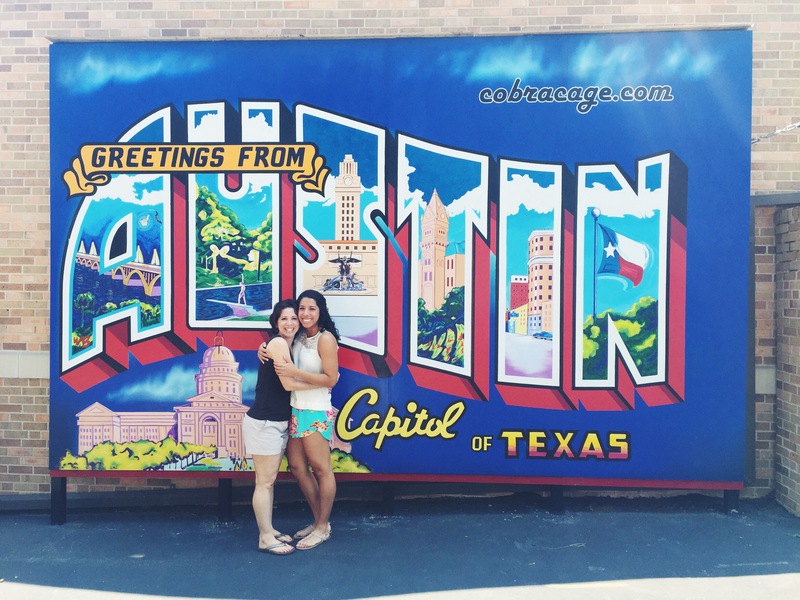 We did some shopping and then headed to South Congress with Eric for her very first Home Slice Pizza experience! We all arrived so hungry, and left oh so full. I hadn’t been to Home Slice in quite awhile, but it is such a delicious Austin staple, I am so glad I finally got to go back! Afterwards, we rushed home to get ready and headed out to the wedding. 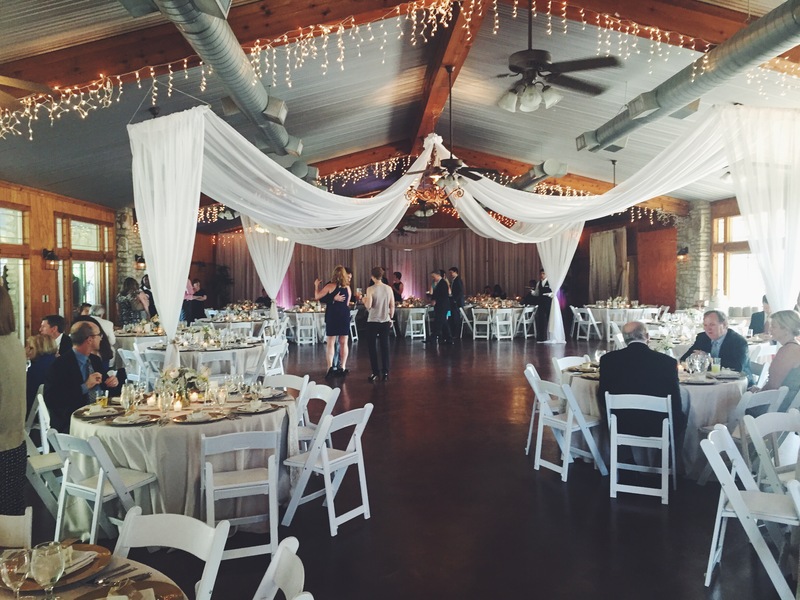 It was at Tenroc Ranch, about an hour outside Austin – aka one of the most absolutely perfect settings for a wedding we quickly discovered. 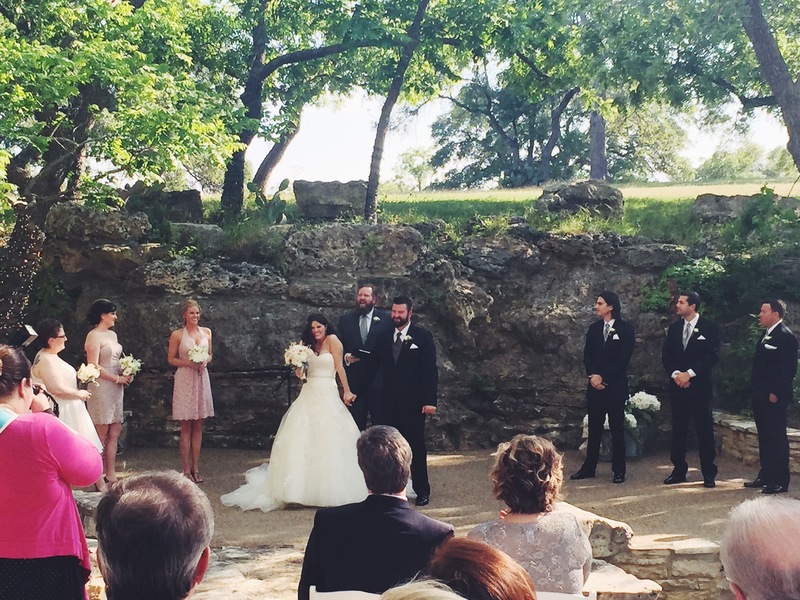 The ceremony was outside nestled under huge oak and pecan trees, and the reception was steps away in a big, gorgeously decorated hall. The food was delicious, and we might’ve had too much fun with the photo booth. 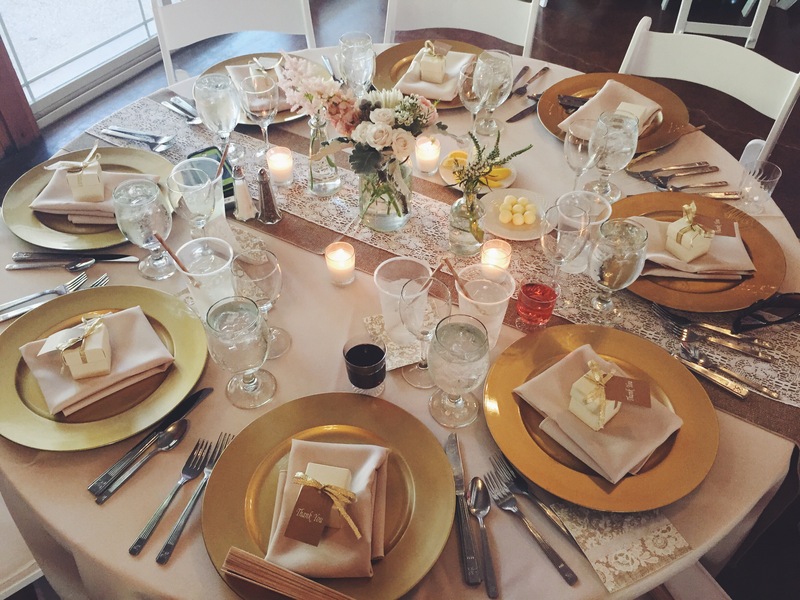 The groom was the son of some dear family friends, and his bride was so beautiful! When they came around to thank everyone, I was feeling quite a bit awkward at the fact I had not met either, but they were so appreciative of my mom for attending and gave me huge hugs as soon as I introduced myself. Two of the kindest, genuine, good looking lovebirds I ever did see! Sunday morning, Mom, Eric, and I headed out to one of our favorite Austin restaurants for a delicious lunch – Shady Grove. I highly recommend their cheeseburger. So. Darn. Good. We even bought some comfy blue Shade Grove shirts with giant burgers on the front because we felt it helped profess our love for the place. 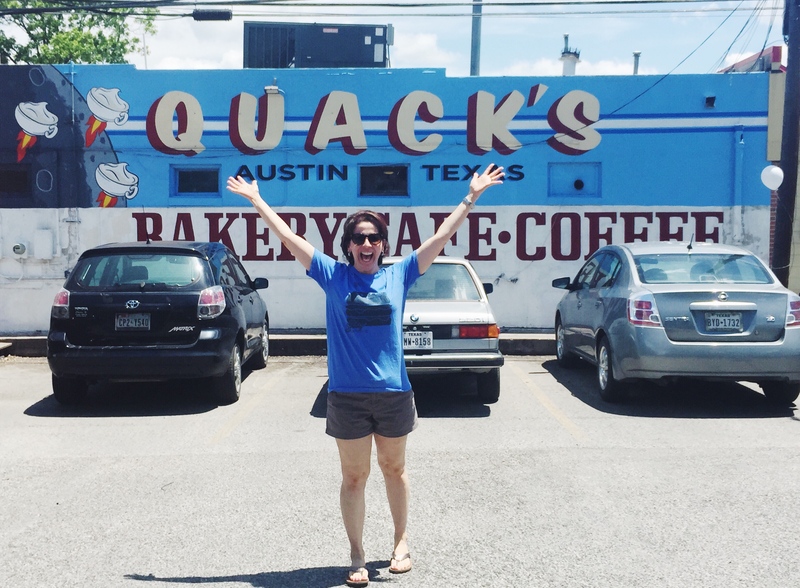 The last stop for Mom’s trip was her #1 place in town, Quack’s 43rd St. Bakery. The selection here is ahh-mazing and every time she visits, there is no question as to if we are going or not. 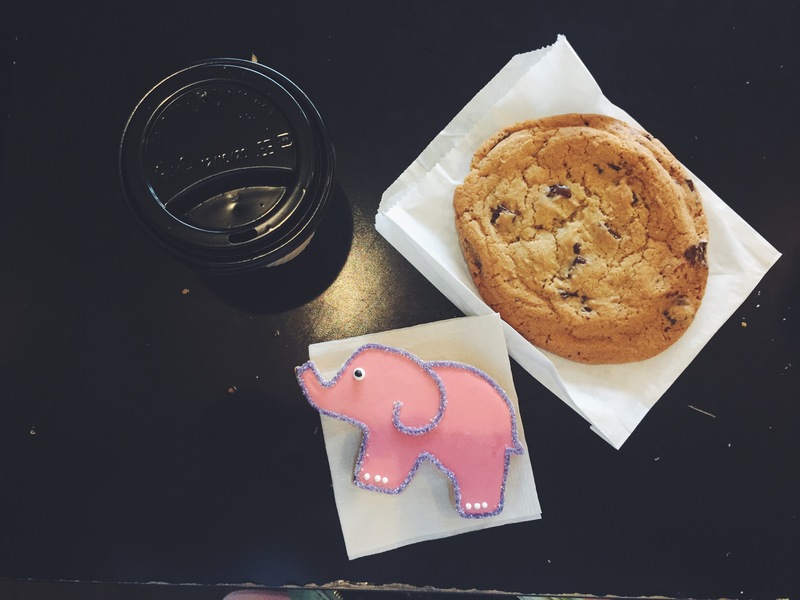 We nibbled on an elephant sugar cookie – fact: elephants are my favorite animal, aside dogs, of course – and a giant chocolate chip cookie. This place even has a microwave next to the coffee condiments, so you can heat up your treats right then and there if you desire. Come on, if that’s not a winning factor, I don’t know what is. 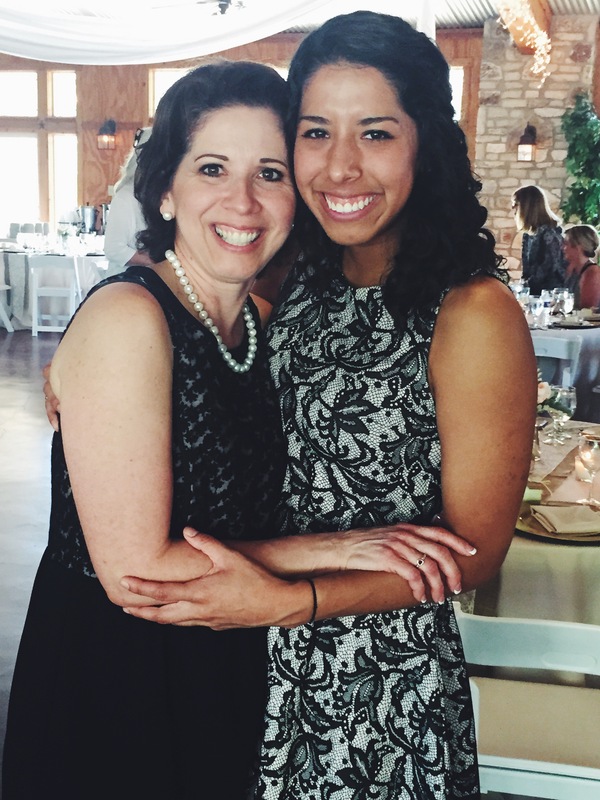 I’m always so sad to see my mom go, but we were already planning activities for when I visit home for Annika’s prom in a couple weeks! The older I get, the more and more I notice how much I am like her, and I couldn’t be happier about it. She’s my favorite lady in the whole wide world, and the cutest human there is. Hope it was a great weekend, friends! Aw thanks so much Ms. Armstrong! Hope to see you soon!